The Interfaith Council of Central Florida, the Mayor’s MLK Commission, the African-American Council of Christian Clergy and the City of Orlando jointly sponsored a Let Freedom Ring event on August 28, at which MLK’s “I Have a Dream” speech was screened to an overflow crowd in both the Orlando’s City Hall’s Council Chambers and Rotunda. Also featured were brief videos, prepared by WUCF, of three Orlando residents who had actually been at the event in Washington, D.C., 50 years ago. Hear the varied perspectives of the Rev. Bryan Fulwider, Rabbi Steve Engel and Imam Muhammad Musri as each week they discuss how faith impacts both the simple and the complicated aspects of life. The show airs on Tuesdays at 6:30 pm on 90.7 WMFE FM in Orlando. Tune in on your radio or listen online at http://www.wmfe.org/stream_player/fm_stream.html. To listen to any show that has already aired, go to http://twgradio.com/listen/. 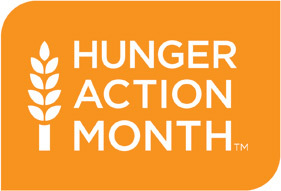 Every September, Second Harvest Food Bank and other food banks across the nation participate in Hunger Action Month. During this time, food banks ask their respective communities to spread the word about hunger. But how can you help? Second Harvest is suggesting “30 Ways in 30 Days.” Use their online “30 ways in 30 days” calendar to find activities that can be done each day in September to help fight hunger here in Central Florida. Some actions are small, like sharing a statistic about hunger in Central Florida via Facebook. Some are larger, like attending one of the special events during September. Not acquainted with Second Harvest Food Bank? Then why not get acquainted by registering for one of their Food for Thought Tours? You’ll be amazed at what you discover. Due to popular demand, we’re continuing last month’s discussion on racial equality and inclusion at our September meeting. Our topic– “What does your faith tradition teach about human equality and race relations?”–will look at the practical, where-the-rubber-meets-the-road, how-can-we-truly-make-a-difference? aspects of race relations. All are welcome. The Interfaith Discussion Group meets from 7:00 to 8:30 pm on the second Wednesday of each month at Adventist University of Health Sciences on Florida Hospital’s main campus. For directions to the meeting place, click here. Is Interfaith Education Really Necessary? If you’ve ever wondered if organizations such as the Interfaith Council of Central Florida play a necessary and beneficial role, a candidate for Australia’s Parliament may have answered that question resoundingly. “I don’t oppose Islam as a country,” she said in a recent campaign-trail interview, “but I do feel that their laws should not be welcome here in Australia.” But at least she did know that Jews and Muslims aren’t the same–because Jews “have their own religion which follows Jesus Christ.” Needless to say, it was a cringe-inducing interview that led her political party to conclude that maybe she wasn’t the ideal candidate for them after all, so she withdrew as a candidate. By the way, the mission of the Interfaith Council of Central Florida “is to create a better, more peaceful, more harmonious community by encouraging and facilitating greater interest in, understanding of, respect for and cooperation among our region’s many faith traditions.” Such an organization just might have been helpful in this case! Lovers of the Environment! Your Attention, Please! Equinox Documentaries, the Center for Earth Jurisprudence, Friends of the Wekiva River, the Interfaith Council of Central Florida and the Global Peace Film Festival are joining forces to host an evening of short documentaries about the environment. The movies featured are: (1) The Rights of Nature, a short film produced for the Center for Earth Jurisprudence, which identifies Florida’s unique natural systems and explains how an earth jurisprudence approach, including recognition of the rights of nature, can help realize their true sustainability. 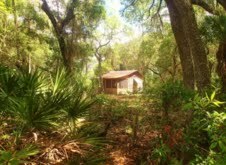 (2) The Carr Family Cabin: Celebrating a Forgotten Place in the Florida Scrub, a short film celebrating the “Cracker” style cabin in the Ocala National Forest used extensively by renowned Florida naturalist Archie Carr and his family. The film was produced by Equinox Documentaries, in partnership with the U.S. Forest Service (Ocala National Forest), Umatilla Historical Society and Friends of the Carr Cabin. (3) A Portal into the Timeless Wisdom of Archie Carr, the sequel to The Carr Family Cabinfilm. It’s about the distinctive ecological values of the Ocala National Forest, told by recapturing the passion and wisdom of naturalist and author Archie Fairly Carr, who often brought his college students to the Forest on field trips. It’s about celebrating the Cabin as a “portal” to the forest and all the ecological treasures it holds. Film makers Bill Belleville and Bob Giguere will answer questions about making the films and the environmental issues addressed. This mini film festival will be in the community room of the Markham Woods Church of Seventh-day Adventists, 505 Markham Woods Road, Longwood, FL 32779, at 8:00 pm on Saturday night, September 14. Free admission. For more detail, contactjim@interfaithfl.org. The schedule and movie descriptions are now posted on the GPFF website. And the list of films to be shown is as varied and captivating as usual. All films, in one way or another, deal with the very broad theme of peace–or its absence. The festival, which is in its 11th year, screens many of the films in venues on or relatively near the Rollins College campus. But there are certainly exceptions. Because the films stimulate thought and action on socially and morally important topics, the festival also features two or three panel discussions on pertinent topics. The films, the venues, the discussion opportunities–all combine to make a memorable, educational and motivational experience. Start planning your viewing schedule now. A multi-faith panel organized by the Interfaith Council of Central Florida will discuss the message and the challenge posed by a Global Peace Film Festival film about homelessness–Take Me Home Documentary–which will be screened at 5:30 pm on Sunday, September 22, at 330 Winter Park Plaza (when headed east, it’s on the right side of Fairbanks Avenue just before Ethos Restaurant and New York Avenue; click here for map). “This documentary is about stories not statistics, about people not numbers, about love not hate, about life not politics, about feelings, fears and hope.” Each year the Interfaith Council hosts such a discussion about one of the films featured in the GPFF. Once again the Holocaust Center and the Interfaith Council are partnering in a nine-part monthly series highlighting the diversity of religious thought and worldview in Central Florida. But the new series, which starts September 17, will follow a somewhat different format. Instead of an hour-long overview of a faith tradition followed by half an hour of questions, as done in RELIGION 101, RELIGION 201 will feature a panel representing three faith traditions and addressing a single topic. Each panelist will present a seven-minute introduction to the issue being addressed, then the audience will have an hour for questions. Currently the panelists are being lined up, but the dates, topics and participating faith traditions for all nine events are available at the Holocaust Center website. All the programs will be at the Holocaust Center (851 N. Maitland Avenue, Maitland, FL 32751). Church leaders often “forget to take care of their own wellbeing because they are preoccupied tending to the needs of their church.” So says the promotional material for a conference for church leaders being presented on Friday, September 20, by Florida Hospital titled “Called to Flourish.” It will be conducted at College Park Baptist Church, 1914 Edgewater Drive, Orlando, FL 32804. The purpose of the conference, which features, among others, well-known Christian writer and speaker Max Lucado, “is to give church leaders a day of solace where they can hear from top health and leadership speakers and be infused with spiritual strength.” Although the conference is directed primarily toward Christians and couched in Christian terminology, leaders from all faith traditions are welcome. And the principles–if not the vocabulary and the structures referred to–apply in varying degrees to all leaders who work in faith-based contexts. Space is limited, so register today. It’s going to be for only two nights–Friday and Saturday night, September 20 and 21–so you may want to book your seat. Admission is free–but a $10 contribution will guarantee you a reserved seat. “Witness” is the readers theater being performed in houses of worship, schools and numerous other amateur venues to commemorate the 75th anniversary of Kristallnacht. 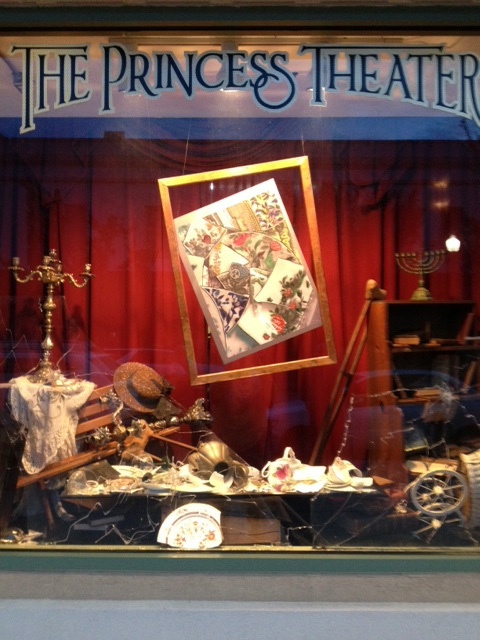 But The Princess Theater performance will provide the professionalism and ambiance of a theater troupe in a theater. The presentation describes in the words of those who were there what really happened at Kristallnacht, which was the beginning of Hitler’s “Final Solution.” Doors open at 7:00 pm, and the performance begins at 7:30 pm. Forty-four years Harry Nilsson sang in a pop song: “Everybody’s talking at me. I don’t hear a word they’re sayin’ . . . .” It doesn’t sound like much has changed in the intervening years, does it? At least not in a lot of today’s discourse in the public forum? But Spirit of Joy Lutheran Church (1801 Rouse Road, Orlando, FL 32817) is trying to do something about the problem. On Saturday, September 21, from 10:00 am to 4:00 pm they’re hosting an interfaith, multicultural seminar titled “Healing Divisions That Keep Us Apart: Tools To Promote Dialogue.” Or, as they put it in the tagline, it’s a “Workshop for Learning to Disagree Without Being Disagreeable.” And it features lawyer and conflict-resolution specialist Cheryl Boyd von Ehrenkrook, JD, MACS. There’s a charge of $12 to cover the lunch and study materials. Go to the church’s website to register or to get additional information. Sunshine State Interfaith Power & Light and Northland, a Church Distributed, are teaming up for a major environmental event event on Sunday, September 22, from 2:00 to 4:00 pm at Northland Church, 530 Dog Track Road, Longwood, FL 32750. The event will focus on how faith-based entities and individual members can conserve energy and save money by (among other things): Reducing, Reusing, Recycling and Re-utilizing resources. Pastor Joel Hunter will be the keynote speaker, and the 27-minute Northland-produced film Our Father’s World will be screened. The film’s insightful commentary helps connect the ecological dots. For more detail, go to Northland’s website. It’s a sad fact of human existence that crimes are at times perpetrated against others based solely on the prejudice or hate felt toward the group with which the victim is associated–or perceived to be associated. But when federal, state and local law enforcement–and a variety of community agencies–work in concert, the incidence of such crimes can be reduced. Which is the reason a Hate-Crimes-Prevention Forum is being conducted on Monday evening, September 23, from 7:00 to 9:00 pm at First Unitarian Church of Orlando, 1901 E Robinson Street, Orlando, FL 32803. The community is invited. Participants/presenters will include federal, state and local government officials and law-enforcement officers, in additions to an array of community and faith-based leaders. For further information, contact jim@interfaithfl.org. The Orange County Office of Emergency Management is inviting leaders from faith-based organizations to learn more about disaster-preparedness by attending a public forum on Thursday, September 26, from 8:30 am to 11:00 am at the Orange County Operations Center, 6590 Amory Court, Winter Park, FL 32792. Please RSVP by September 23. This year, 2013, is the 75th anniversary of one of Western civilization’s major excursions into infamy. 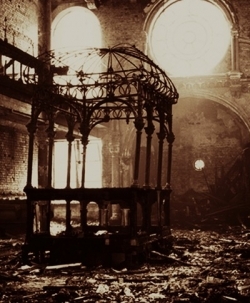 On November 9 and 10, 1938, an event that came to be known as Kristallnacht–the night of breaking glass–was perpetrated by ordinary citizens against the Jews, urged on by Hitler’s Nazi regime. Over a period of two days, thousands of Jewish homes and businesses were ransacked or destroyed, 91 Jews were killed, 30,000 Jewish men were taken to concentration camps, and 1,668 synagogues were ransacked, 267 of them set on fire. For the first time there was incontrovertible evidence for the entire world to see concerning Hitler’s intentions toward the Jews. To ensure that we appropriately reflect on and learn from this historic travesty–which marked the visible beginning of the Holocaust–a wide array of Central Florida organizations are partnering with the Holocaust Center in a series of events that include three performances by the Bach Festival Society Choir and Orchestra of the Kristallnacht-inspired oratorio A Child of Our Time, and multiple performances of the readers theater “Witness,” which describes in the words of those who were there what really happened. Go to the Holocaust Center’s website for more detail and a list of the activities that have been finalized to date. Interfaith Power and Light is promoting a “preach-in” between Friday and Sunday, February 14-16, 2014. The theme: climate change and earth stewardship. Sample sermons and other materials are provided on the IPL website. While the bulk of the resource material is from a Christian perspective, a quick perusal reveals that Jewish, Muslim and others have also posted material. And material designed for one faith tradition may be adapted to meet the needs of another. If the preach-in captures your imagination, check it out. 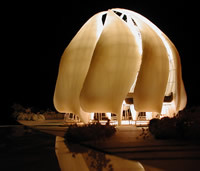 According to the Baha’i Faith website, “aside from the Baha’i House of Worship for the North American Continent in Wilmette, IL, there are six other continental Houses of Worship around the world, with a seventh now under construction near Santiago, Chile.” Each House of Worship is exquisitely designed to comport with the culture in which it’s situated. Earlier this year, George and Farideh Via, local residents of Central Florida and leaders in the local Baha’i faith community, were privileged to spend some time at the site of the new structure being built in Chile. For photos of all of the seven Houses of Worship, click here. Did you think you could name your child whatever you want? You have another think coming. At least if the judge has reservations about your chosen name, based on his/her religious beliefs. That’s what a Tennessee mother discovered when she named her third son Messiah–to aliterate with the names of her other two sons, Micah and Mason. It’s an interesting and unusual story–although maybe not as unusual as you might think, granted that more than 700 American babies received the name Messiah in 2012 alone. In a brief essay, James Coffin, executive director of the Interfaith Council, considers some sobering implications for all Christians concerning the Christian judge’s rationale for nixing the name. In Jewish Rabbinic teachings, the rationale for doing acts of kindness for those in need isn’t just to benefit the recipients. 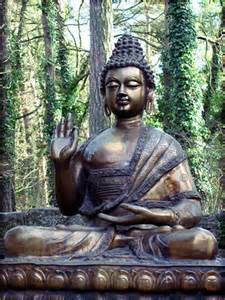 The act of giving also meets a spiritual need within the givers. So no one can do an act of kindness without the resultant blessing going in more than one direction. In the context of that little “sermon,” it seems appropriate to remind some and inform others that Orange County Public Schools has a great need for tutors, mentors and others in assisting roles in which people from the community help students–and entire schools–achieve excellence instead of struggling. And it’s especially helpful to OCPS when an already-existing community organization does all the coordinating within its own infrastructure. Faith-based organizations already have just such an infrastructure. Learn how your house of worship or your community organization can “adopt a school.” Contact Kate Galindo for more information or to sign up.